This is an amazing dress! I am regretful to sell but am in desperate need of some finances. It flows beautifully with your body as you move and has a beautiful train. Its extremely comfortable and the silk underdress is just perfect! 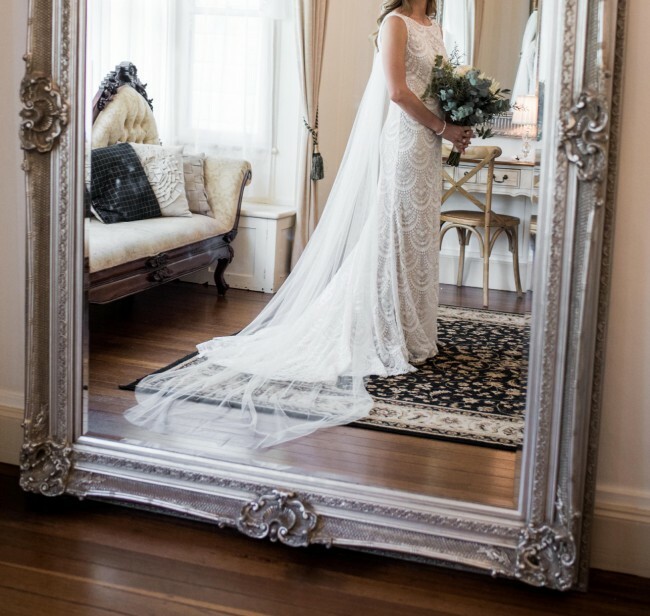 This dress was the dream for me on my wedding day and I know it will make you so very happy too! I hope I can find it a nice home. Once you send a message, Goulds can invite you to purchase the dress.